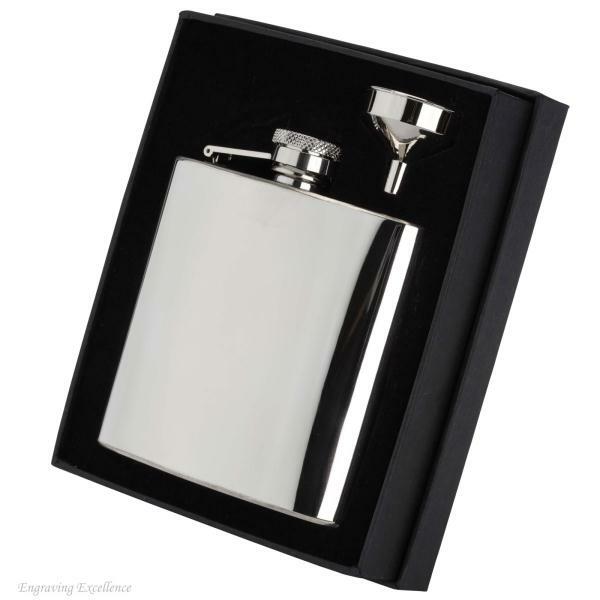 A high shine hip flask with a funnel and black gift box. The flask and funnel come in a very attractive black presentation box - The perfect gift in one package. 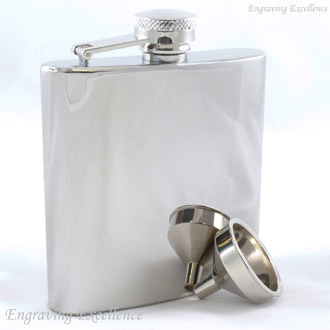 This hip flask is made of highly polished, reflective stainless steel, giving it a premium lookThe flask's lid is secured via a hinge so you can't lose it no matter how much you use it. 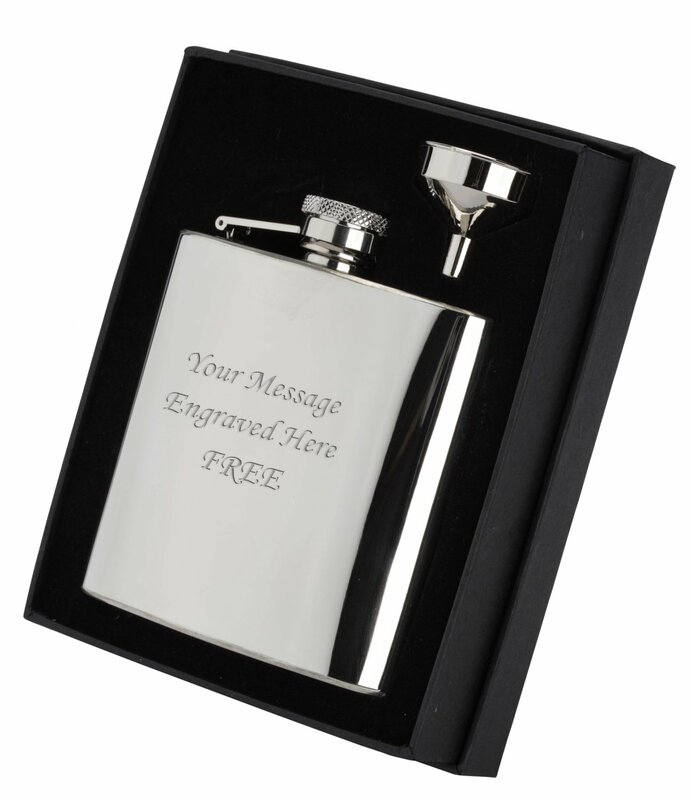 You get free engraving on this hip flask making it an ideal gift for birthdays, weddings, father's day etc. Please read the engraving information below to ensure you get the best engraving possible.